How often should I change the filter? | Bills Sales and Service - Refrigeration, Ice Machines, Heating and Air Conditioning in the Branson - Tri Lakes Area. "How often should I change the filter?" may be the most commonly asked question regarding furnace air filters. Thankfully, that question is easily and vaguely answered with the response, "It depends." 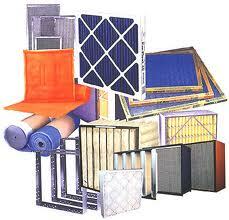 The frequency with which you replace or clean your air filter depends on the type of filter you are using. Disposable Filters: Simple, disposable air filters should be replaced every 6 to 8 weeks. Washable Filters: Washable filters should be removed and washed every 6 to 8 weeks. If you keep your furnace fan running continuously, it is better to clean the filter every 3 to 4 weeks. Metal Filters: The filter media used in these metal frames is very thick and dense. Every 8 to 10 weeks you should replace the filter media in the metal frame. Electrostatic Filters: Reusable electrostatic air filters should be thoroughly washed every month. As the electrostatic filters get older, they should be cleaned more often. Electronic Filters: If you are using an electronic filter in your furnace, it should be cleaned every month. These should be cleaned very carefully. If any internal wires are broken during cleaning, the filter will cease to work. Ultravation Filters: Should be changed every 6 months. These are very general guidelines to follow when deciding how often to replace your furnace filters. In addition to considering the type of filter you are using, you should also factor in the quality of the air being filtered. If you have a smoker in your home or pets who shed their coats, it's a good idea to clean or replace your filters more frequently.